TAURUS – A good day if you are planning to go out on a pleasure trip with the family. A favorable day for those businessmen who wish to expand and open new branches. Today they will be able to take the initial steps towards this goal. Those in the real estate business will have a routine day of work today. Politicians may meet some very influential and important people at informal gatherings. This meeting would turn out to be extremely judicious You might be in a financially strong position now. There might also be some relief from debts..
CANCER – You may get involved in unconventional relationship. But you are advised to get out of it before you get too involved. Those who are single might be overburdened with work today making them very short tempered. They are advised to be patient while dealing with their officers. Not the best of the days to travel. If you can’t avoid the journey then make sure that all the arrangements are made properly. Share market investors and brokers are advised to avoid gambling or speculating. Especially if they are dealing with other people’s capital. Politicians with an enterprising spirit may rise to prominence today. They would be able to advance their career and attain a higher position in their party. Your physical health depends on your mental health. Since you will be very happy today you will feel healthy and physically fit as well. LEO – Lovers may look forward to spending a good time together. A family get-together at home will make the elders very happy today. They would love to interact with the kids and other members of the family. Those who are seeking a new job might get an offer for a new job. This will also bring them fame and recognition. Advocates can expect new cases coming their way today. These cases would bring reputation and money for them. A good day for students today who are interested in extra curricular activities like debate, elocution, etc. VIRGO – Those seeking a job for some time now might not be rewarded for all the efforts they have been putting in. An energetic day ahead for sportsmen as they will feel up to any challenge. Not a good day for people in the showbiz as they might show some emotional instability. An auspicious function might bring some solace to them. Those who have been severely ill may find some relief from pain today. They might also be on the road to recovery. LIBRA – Those who are single should be very happy today as their love signs are bright and they might meet their soul mate today. A nice drive with family, friends or relatives is predicted for today. Real estate agents can expect a very busy day today. There will be numerous calls, clients coming in and deals to be finalised. Unexpected hurdles may delay the procedures students may have to fulfill in order to pursue higher studies. A mentor will help politicians in building the foundations of a promising career in the political arena. Those suffering from serious illness will benefit a lot from the love and care provided by near and dear ones. It will bring them relief and some happiness. SCORPIO – Romantically involved couples might enjoy the attention given by their partner. Today they might take some decision towards their future. Any long distance travel would be best avoided today. Share market investors and brokers might find meetings with important people turning out to be very beneficial. Politicians may have to face some opposition today because of their strong and determined views. But this very nature as well as favorable stars would help them tackle any problem. You are in for some sudden monetary gains today. The extra cash would help you to overcome some difficulties you have been experiencing off late. Patients suffering from prolonged illness and bedridden for some time now may soon recover with medicines and care. 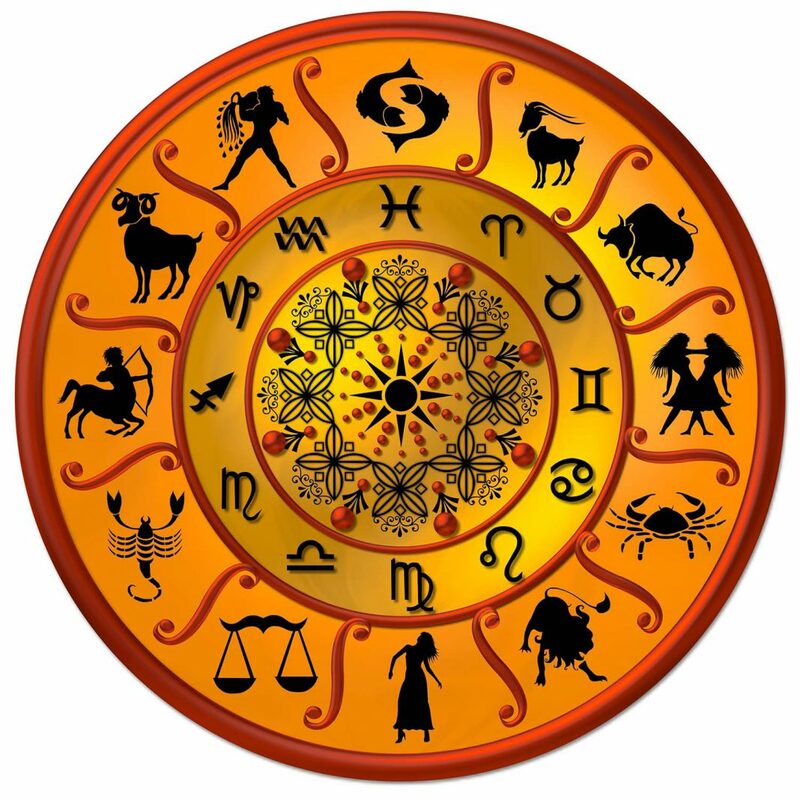 SAGGITARIUS – Romantically involved couples might have to stay away from each other today. They might have other engagements which might force them from spending time together. You can expect travel opportunities today. Those in the field of technology might feel the burden of responsibilities at work as well as at home. Those who are in the accounting profession may have to take some tough decisions today. They need not hesitate to do so as they have to ensure that their interests are protected. Those in the real estate business, especially agents may sign new partnership deals today. This will surely be very profitable in the near future. An ideal day to host business parties. Especially for businessmen seeking financial aid or funds for their new projects. CAPRICON – Engaged couples will today get the time to spend with each other. They might go out for the evening or have an outing. Married couples would enjoy a good, harmonious domestic day today. Children might look up to their parents for some support. You might get a new job offer today. This job would bring you fame and recognition. Those who are in the legal field will be very enthusiastic and will be very successful today. An empathetic nature, especially towards students will help teachers resolve the problems students come up with. AQUARIUS – Those who are single might today enjoy an intense love life and a joyful personal relationship. A trip today will bring favorable results today. Especially for those who are in marketing. Today will be a very busy day for businessmen and industrialists. Apart from already scheduled meetings they may even have an unexpected business meeting with a foreign delegation. Real estate agents will successfully close a land deal today. Politicians will see an increase in their supporters today as more and more people join their cadre or come out in their support. It’s now time to push your plans and start work on them. Also need to make afresh financial beginning. PISCES – Those who are married might spend a lot on shopping for the entire family. Those who are single must now start thinking of their own welfare. They should now take off some of the extra responsibilities that they have been carrying upon them. Politicians may be called on to mediate within the party members and resolve issues today. Sportspersons awaiting confirmation for a new job may expect to receive the orders today. Artists may have a dull and boring day today. They may feel as if all their creativity has sapped out of their being. They may not be able to think of anything to do. You are advised to be in a calm and meditative state of mind today. Next articleWhy “#BoycottChineseProducts” attempt failed for so many years?